Celebrate Valentine’s Day a little early in the intimate Merrill Family Wine Cellar. Chef Charlie will be preparing an unforgettable three course meal; each course paired with one of our award-winning wines. Menu and pricing are still TBA. 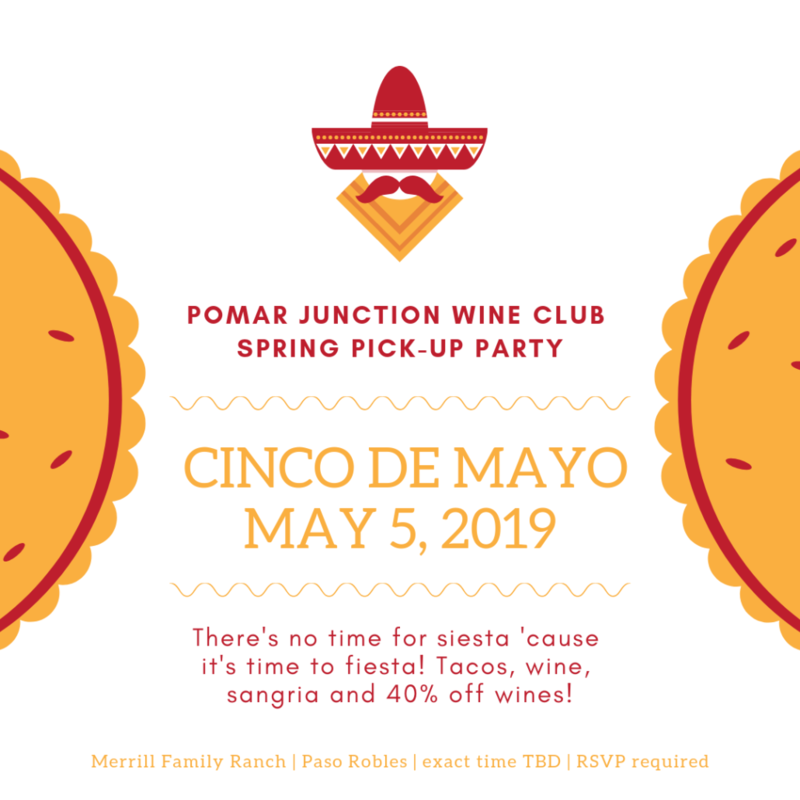 If you would like to be added to the reservation list in the meantime, please email info@pomarjunction.com. 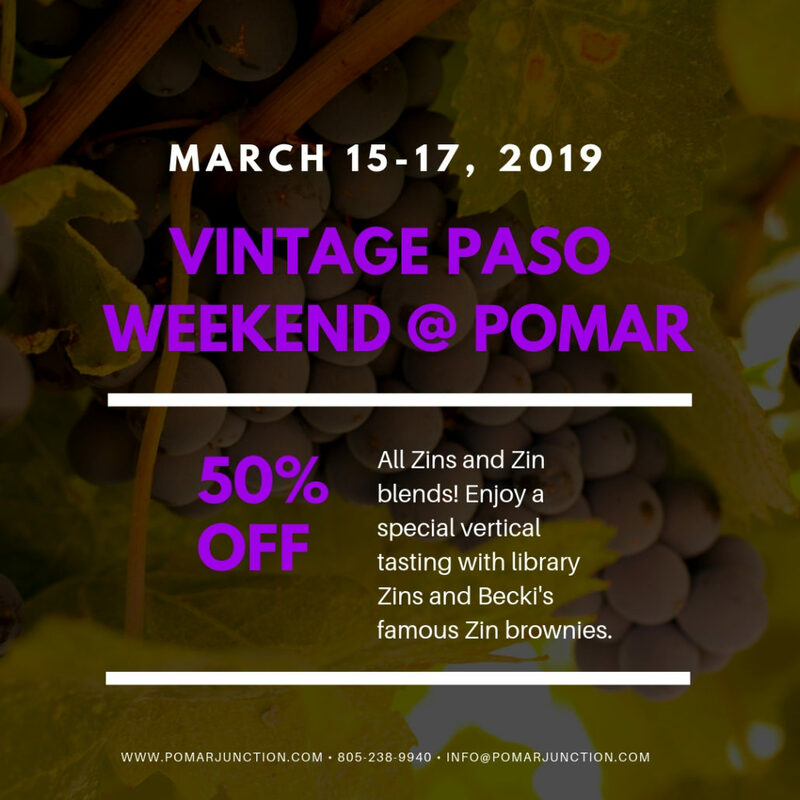 We regret to announce that March 24, 2019 is the last day of normal operating hours at the Pomar Junction tasting room at the South El Pomar Rd. location. To read the full announcement, click here.